You know...I've kind of come around even more on NES Remix. Like, even the weakest games in the package are pretty enjoyable to me. It's kind of weird. I feel like many of the games in NES Remix are actually better in this format than on their own. Something mildly enjoyable like Balloon Fight gets old pretty quick when you just set it up and play it, but in the context of a bunch of mini-challenges, you really start to learn how to play perfectly. I've learned the ins and outs of the unorthodox controls in games like Mario Bros. and Ice Climber, and it's genuinely fun (and intense) to go for Rainbow Star runs in these games now. It does a great job at presenting a "potpourri" of NES games, and before you can get bored with one, it'll whisk you off to the next challenge, or game. I'll admit it's not for everyone, but it's a solid mid-8 in my eyes right now, and strangely better than most of its source material to me. Old-school gamers who like these kinds of tough, precise challenges should probably enjoy it. 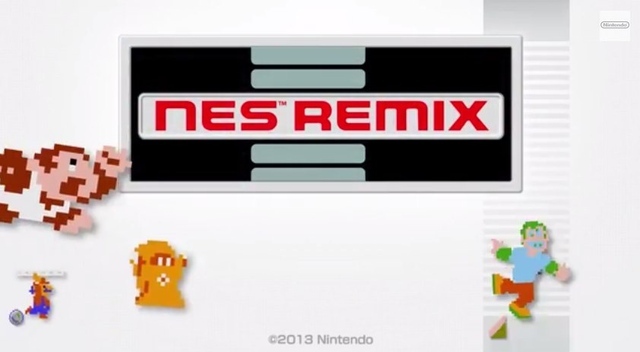 On the flip side, while NES Remix 2 has muuuch better games, it feels a lot easier and less demanding to me. I'm still enjoying it a lot, but in a more laid-back stroll-through-memory-lane way rather than a true challenge. I'm happy with both games and look forward to more potential titles in this series. @TriforceBun Did this even change your mind about the sports games and some of the other questionable ones? It's weird, I agree with a lot of what you just said, but I still think there are too many stinkers in the package. I guess the sequel may be more my style. Actually, Baseball was indeed getting on my nerves just last night, because (unlike most of the Remix games in the package) it just feels so AI-controlled and random. Why does my guy keep trying to steal second?? I need the pitcher to hurry up and send me the ball to get the Rainbow Stars! I think Golf might be moving up the list ever so slightly, since it's thankfully all skill-based (albeit very trial-and-error), and while Urban Champion is a bit of a turd, at least there's only one mini game with it. Pinball is still too out-of-my-control. Tennis is pretty meh but it works well enough for challenges. I generally have a good time with the rest of them. I like how gameplay-focused this package is. You'd probably enjoy NES Remix 2, but keep in mind that it's a lot easier for perfect runs. I've made some pretty major errors in several of the stages and still get the Rainbow. There're more crossover challenges (which is great), but I wish the game would tighten the thumbscrews a little bit more. I feel like I'm going to spend half the time with this game as Remix 1 since I Rainbow 80% of it on the first try. I wish my SMB3 and Kid Icarus skills were pushed to the limit. Hah, I'm very familiar with your distaste for the NES mountain-climbers. But while the jumping is stiff and the kids' feet constantly clip through the ledges, I have to say this: the game is consistent with these quirks, and I've started to enjoy getting better and working around them to do solid runs on the challenges. It's a little bit like REmake or Castlevania 1 in that the controls are super-wonky and unapproachable, but consistent and learnable as well. And the feeling of improving and overcoming a clunky, unfriendly game like Ice Climber is pretty rewarding, actually.